Jerry Savelle is celebrating 50 years of ministry this year! The Lord told Brother Savelle to dedicate this year, his 50th year of ministry, to Kenneth Copeland and to serve him. As a result, Brother Jerry will be preaching with Brother Copeland at every Victory Campaign in 2019! From Feb. 25 – March 1, 2019, Jerry Savelle will be on the Believer’s Voice of Victory broadcast with Pastor George Pearsons. On this broadcast, they discuss the word of the Lord to Brother Savelle concerning 2019: 2019 will be the year of marvels, wonders and extraordinary manifestations of the greatness of our God. Click here to watch these broadcasts. 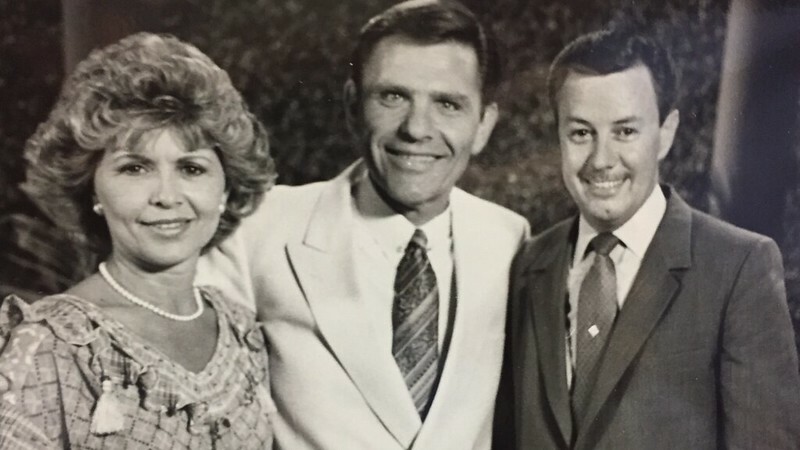 Pastor George and Brother Jerry also discuss Brother Jerry’s early years in ministry with Kenneth Copeland. They talk about two memorable messages Brother Jerry preached, “The Armor of God” and “The Canoe Story.” You can watch both messages in their entirety below. In Brother Savelle’s early years in ministry with Kenneth Copeland, a lady made him an armor of God costume, complete with all the parts of God’s armor! Watch this video, taken from the 1994 Southwest Believers’ Convention, with Jerry Savelle, as he delivers this powerful message about how Satan attacks Christians. In this timeless message, learn how you can use the armor of God to take an aggressive stand and take back everything the enemy has stolen from you! What is the life of faith really like? It’s like trying to go upstream against the current. At the Southwest Believers’ Convention in 1981, Jerry Savelle preached a message called, “The Law of Progression,” in which he told the canoe story. You can fast-forward the video to 56:45 to watch that story. However, this entire message by Jerry Savelle about the law of progression is life-changing, and you won’t want to miss a minute! Jerry Savelle demonstrates that living by faith is like trying to turn your canoe against the current of the world. You can turn your canoe around. Join Kenneth Copeland and Jerry Savelle at a 2019 Victory Campaign, and learn how you can go upstream against the current of this world. These are FREE events. Let’s pack the house! 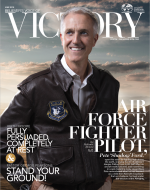 Go to kcm.org/events to find a Victory Campaign near you and register today.